Here at JustUs Geeks, we give the Playstation family of consoles a lot of grief. Some of is is well deserved, but some may not be. 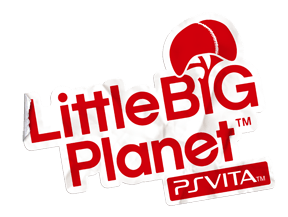 Case in point: LittleBigPlanet is a wonderful series of games, and without the PS3, we couldn’t play it. The same goes for Ratchet and Clank, Sly Cooper, Jak and Daxter, and more. Now, the LBP series makes the hop to the PS Vita, a system that is still looking for that breakout, blockbuster game to make it stand out. From this trailer, released this week at Gamescom, they may just have a blockbuster on their hands. Take a look and see if you agree. Well, I had both systems and had so many problems with PS3 that I just decided to ditch it. But I agree, there are great games for both systems. only issue ive had is with the online goin down but not usually for long and xbox kicks me offline all time and constantly has bugs and glitches. I do agree with ya however. Both great systems with signature games.